Many of us have found our immigrant ancestors on the passenger manifests of the ships that brought them to the U.S. Others among us are still searching. But even when we find the manifest, it does not tell the whole story of the immigrant voyage. Phyllis Kramer will show us how our ancestors got their tickets and traveled to the ports of embarkation, what documents came with them, and how U.S. immigration laws affected their lives. She’ll also provide tips on searching for manifests, understanding their notations and deciphering handwriting. As JewishGen’s Vice-President of Education, Phyllis Kramer created JewishGen’s online learning program and teaches many of its courses. She is a worldwide lecturer and practicing genealogist who specializes in Eastern European research. In 2011, she received the award for Outstanding Contribution to Jewish Genealogy via the Internet from the International Association of Jewish Genealogical Societies. 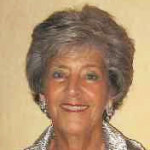 She comes to us from Florida where she is a board member of the Palm Beach Jewish Genealogical Society. Admission is free for members, $5 for non-members. Members are invited to bring their friends for free to this program. The usual admission fee for visitors will be waived for members’ guests. Refreshments will be served.